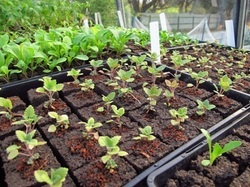 Our hand-made Soil Blocks nourish open pollinated, non-GM, heirloom varieties of vegetable, herb and flower seedlings. We grow organically, all inputs are approved for certified organic production. 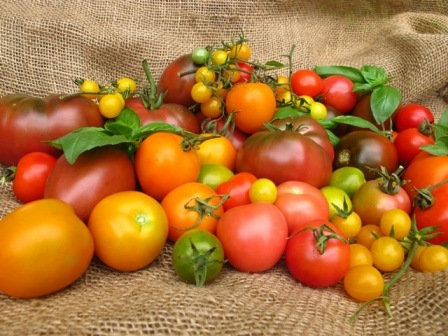 We currently grow a small selection of vegetables and herbs. From the gardens we manage, our produce travels 1.2 km, 2.7 km or 5.2 km to get to the Eltham Farmers' Market. We are still experimenting and learning to create our finest mix yet! 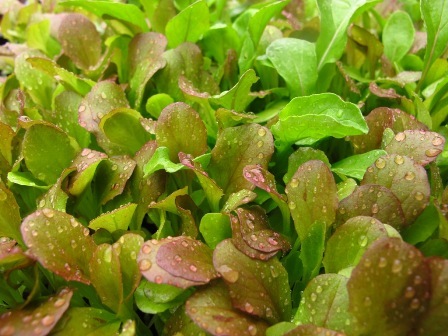 Looking forward to bringing Baby Salads to the market soon! The tools of the trade for the sustainable home gardener and market gardener alike. Great for starting seeds organically. 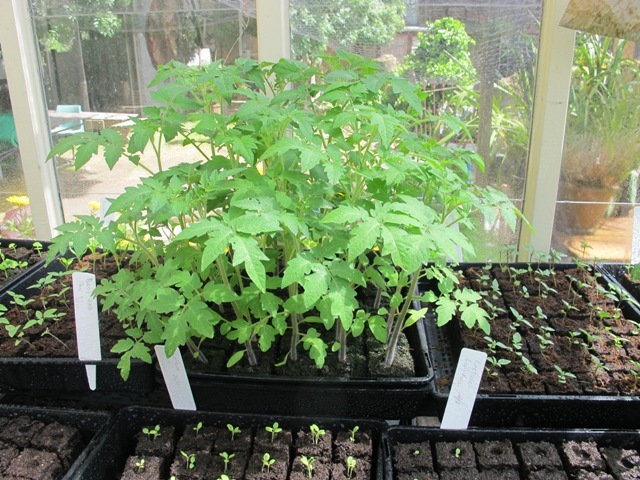 And a more sustainable alternative for raising seedlings. We are an official distributor of Ladbrooke Soil Blockers. 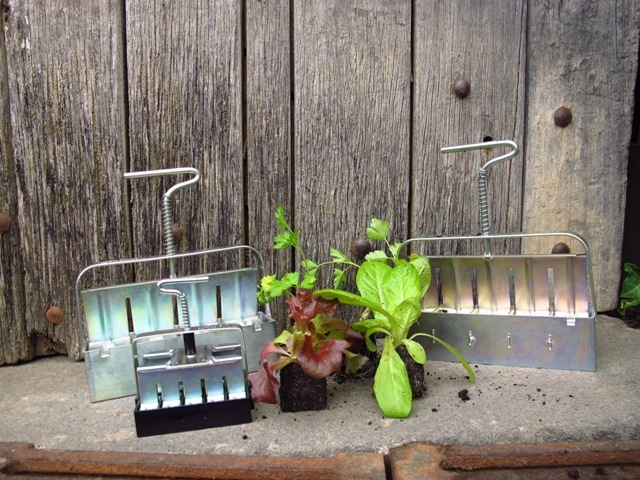 Soil Blocks - for sowing your own seeds. Visit the online shop for more details. 2nd & 4th Sundays of every month.